It's no secret that today's soldiers train on all manner of video game-style simulators. In the United Kingdom's Ministry of Defense, British servicemen use Virtual Battlepace 2 as part of their regimen. VBS2 is a product of Bohemia Interactive, who also made the first Operation Flashpoint game and now produce the ultra-realistic ArmA shooter sims for the consumer market. (The U.S. Secret Service use VBS2, too.) However, unlike the OpFlash games, VBS2 hasn't gotten an update since 2007. In the dog years of video game engine iteration, that's a loooong time. 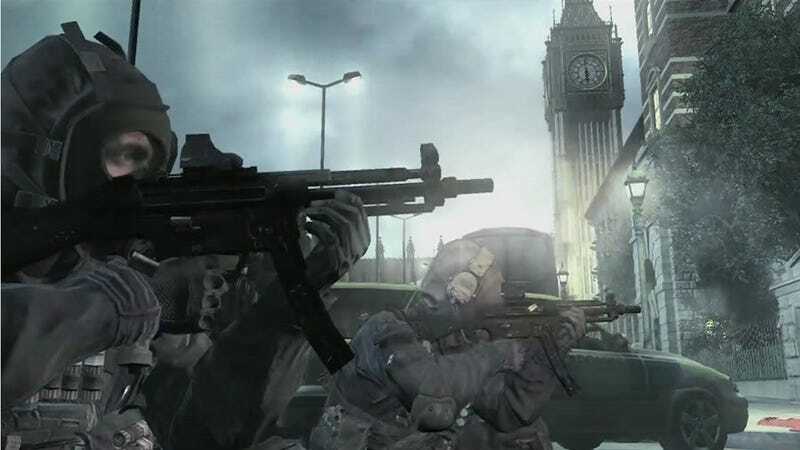 With recruits already having experienced the better graphics and gameplay of Battlefield 3 and Modern Warfare 3, British military are finding that VBS2's hoary old experience no longer holds new trainees' attention. Bored soldiers-in-training probably aren't what you want to be sending all over the world. "Back in the 1980s and 1990s, defense was far out in front in terms of quality of simulation," said Poulter. "Military-built simulators were state of the art." "But now, for £50 ($77), you can buy a commercial game that will be far more realistic than the sorts of tools we were using. The truth is, the total spending on games development across the industry will be greater than spending on defence." "The weapons need to be credible. If they fire a rifle and the bullet travels three and a half miles, then that is not right. If they are steering a vehicle, then that has to be right too. Realism is more important than entertainment." So, if you think that BF3 or MW3 is too boring already, it's probably a good thing that you won't experience a more realistic version during military training.